The main objectives of the Trust are: To foster and promote the study of the history of airships and present this to the public. To stimulate the interest in Cardington as an airship base and conserve its principle buildings. Since 1987, one of our four principal objects of the Airship Heritage Trust, as set out in it's Articles of Association has been to "stimulate public interest in the role of Cardington as an airship base and in the conservation of the principal buildings thereof". It has not - and never has been - the Trust's role to seek the preservation of the whole of the Cardington site nor to seek the retention of the flying field for current or future airship operations. Following the restoration of the Shorts Building our main aim must be now to try to ensure that the two Cardington Sheds are preserved as historic structures, irrespective of whether they are used for lighter-than-air purpose's in the future. It has been the policy of the Trust over a number of years not to comment on planning applications relating to the Cardington site because these have not, generally, been in conflict with the Trust's principal objects. 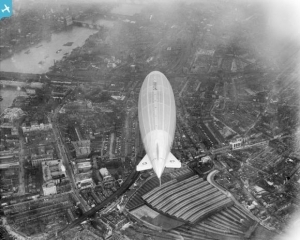 However individual members of the Airship Heritage Trust have been entirely free to submit comments and objections to the relevant planning bodies if they have wished to do so. 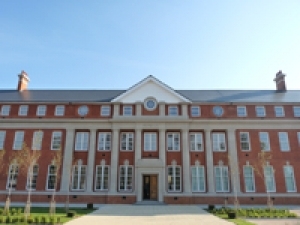 Following discussions with both English Heritage and Bedford Borough Council regarding the current planning applications submitted by Fosbern Manufacturing Limited, the Trust's Council has found no reason to depart from this policy in the present case. Trust has moved it's collection with partnership with the Fleet Air Arm Museum at Yeovilton with a major part of the Trust's collections to be incorporated into their displays. 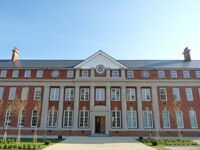 The Trust's extensive library is housed at Cranfield University Library and is available to members and the public. Today the AHT continues to strive to carry out it's objectives in the promotion of the study and history of airships. The Airship Heritage Trust realises the importance of local support for history, and so finances the improvement and is committed to the ongoing maintenance and upkeep of the R101 memorial tomb, at the St Mary's Church, Cardington. Click here to show the work being undertaken For the children of Shortstown Primary School, the Airship Heritage Trust financed a display of a model of the R101, with a scale model of the school below the ship to show the true scale of the airship. The Trust also financed the frame display of the R101 tapestry, again on show to the children at Shortstown Primary School. The Trust is also proud to offer financial assistance to the Shortstown Heritage Gateway Project. 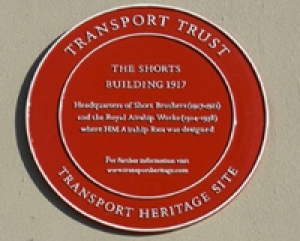 The Trust also was instrumental and worked with the Transport Trust to have the Short's Building (also known as the Administration Block) recognised for it's historical importance, and had a Transport Trust "Red Wheel" accreditation, placed on the building.